Croatian attacker agrees personal terms with Arsenal? 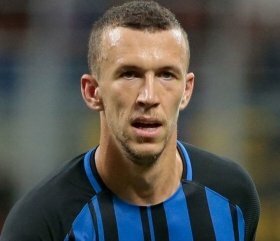 Perisic close to Arsenal move? Croatian attacker Ivan Perisic has reportedly finalised personal terms with Arsenal, although the move is dependent on whether the Gunners can strike an agreement with Inter Milan. The 29-year-old has already handed in a transfer request at the Nerazzurri and reports have since linked him with the Gunners, who are keen to bolster their options in the wider areas. According to Calciomercato, the 2018 World Cup finalist has already agreed terms over a loan contract with the Gunners while also finalising his salary package for the three seasons thereafter. However, the north London side are yet to reach a breakthrough with Inter regarding a transfer package and this could potentially hamper their move before Thursday's deadline. Arsenal are prepared to part with a £4m loan fee with the option to buy for £35m in the summer. But, the offer has been rebuffed by Inter, who are said to want an obligatory buy clause inserted instead.